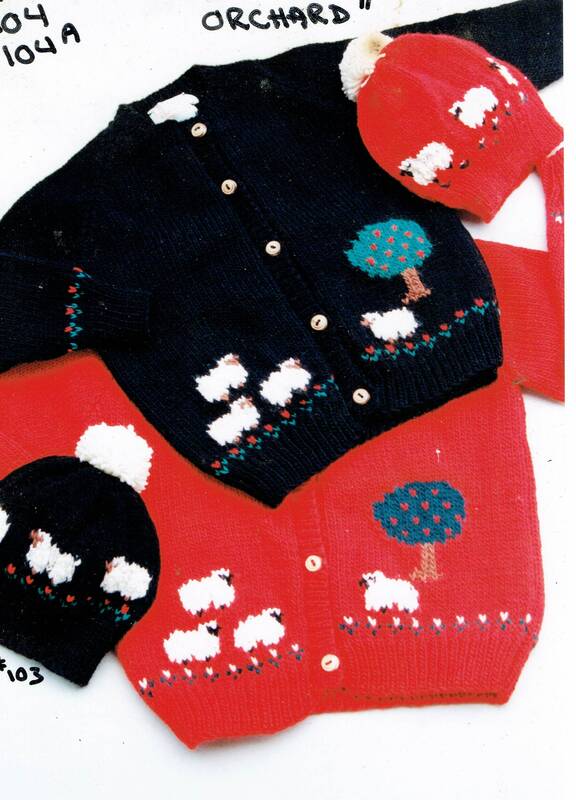 Country's Child Pattern 104: SHEEP in the ORCHARD child's cardigan with reglan sleeves. Sizes 2-4-6-8. Finished chest sizes 26-31 inches. Sleeve length 9-10-11-12 inches. Gauge 4 1/2 sts & 6 rows=1 inch on larger needles. Size 4 [3.5mm] & 8 [5mm] knitting needles.